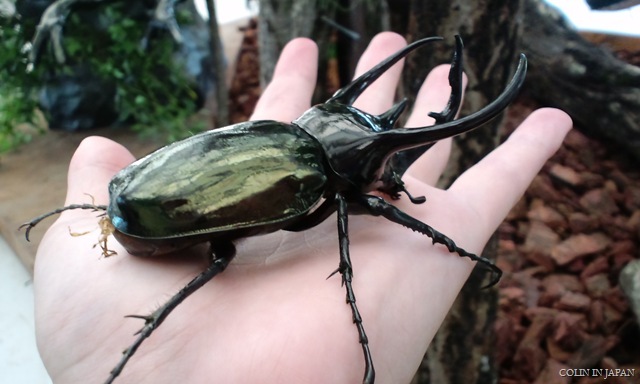 I don’t particularily like bugs. 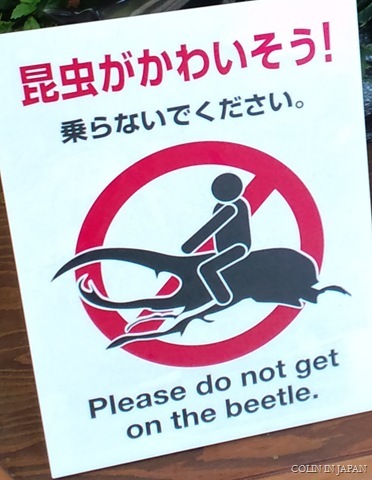 The sign applied to a big plastic beetle. 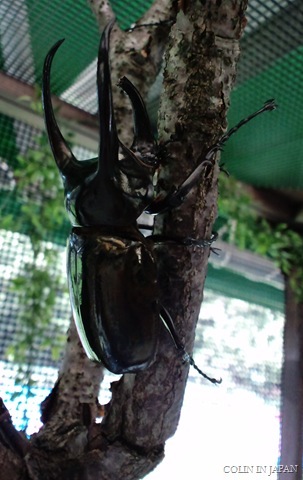 Man: Do you want to the hold the [large] bug [I was looking at]? 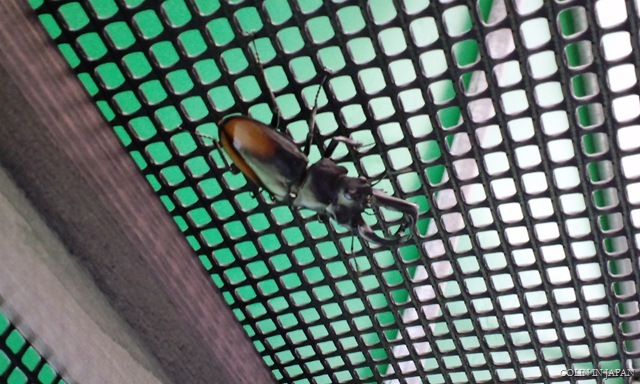 Oh and these bugs were walking around on the netted ceiling of the bug hut. The hut intended to fit a Japanese person. I was terrified one of them was going to fall down on myself.